At Warble Entertainment Agency, we have literally hundreds of bands for functions available to hire – and local to you! We have live bands and musicians performing everything from Rock and Pop, Jazz and Swing, to Motown, Soul, Rock & Roll and Jive… plus much more. In fact, every other genre you can imagine. From the top of Scotland to the tip of Cornwall, we can help you find the perfect function band for any event. Our musicians are professional, reliable and experienced. Let’s get something straight; function bands are exactly what you want them to be! The bands need to be flexible, because unlike specific concerts when an audience expects a certain sound and style, at functions – such as weddings, birthdays and other special celebrations – the guests could be from several generations. You need to make sure that they all have a great time. So, function bands need to get the balance right, to be able to adapt and read how a party is progressing. Function bands primarily play the favourite tracks from a musical genre. So, if you have booked a Rock & Roll band, for example, perhaps specialising in 1970s and 80s sounds, you could rightly expect to hear cover tracks from Bruce Springsteen, Queen, Dire Straits, Elton John and maybe Rod Stewart. 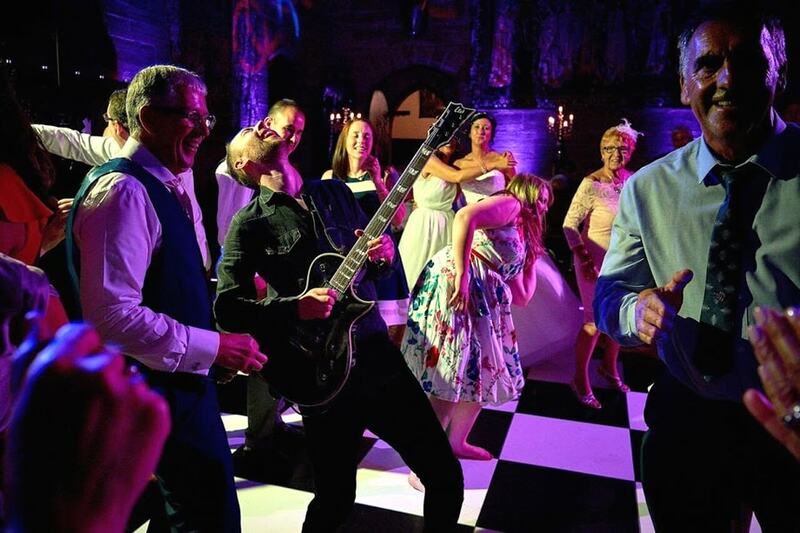 When you book through Warble Entertainment we make sure that you are happy with the playlist and are confident that the band you choose can offer the variety that your guests will love. The musicians and bands offered by Warble Entertainment come with some fantastic reviews. We produce video and audio recordings so that you can get a feel for their style and sound, and of course we go and watch them in action. That way, we can recommend them for your functions with confidence. When you book a live music act for your function, there is one thing that is almost certain to play on your mind: can you rely on the agency to supply you with the right band? Well, that’s where we believe that we are the best in the industry. Warble Entertainment arranges entertainment for thousands of functions every year. Weddings, corporate evenings, charity events, birthdays or unexpected celebrations; we have vast experience covering the requirements of people looking for the very best bands for a wide range of occasions – whether that involves jazz, pop or rock. Picking the best band is only part of the process, as you must also consider a few other things if your event is going to be the swinging success you have always dreamt about. That’s where we can help. We’ll talk you through the process, from start to finish. Can your venue accommodate the act and its equipment? Are there any power or lighting considerations? Would you like the band to get involved with any other aspects of your function? All good questions, and as an Entertainment Agency that likes to deliver an outstanding service we make sure that you get the best possible advice to guide you through the band hiring process. That support is ongoing until the final notes are played on stage.